This is the key question to find the perfect foundation. The colour of your skin is a combination of two factors: the colour (or undertone) and the tone. The combination of these two characteristics results in the specific shade of your skin. For example, if your skin has a warm undertone and a light tone, you are the shade Light Warm. Undertone or colour means the dominant hue of your skin. For example: the pink colour of Nordic skin (ROSE), the ivory colour of Caucasian skin (NEUTRAL), and the golden colour of Mediterranean skin (WARM). To find out if you are Neutral, Rose, or Warm, you can look at the veins on the inside of your arm: if they are blue you are rose, if they are green you are warm, and if you can't tell what colour your veins are because they are somewhere between green and blue, then your skin almost certainly has a neutral undertone. Tone, on the other hand, is the concentration of your colour: very pale (FAIR), pale (LIGHT), medium (MEDIUM), tanned (TAN), very tanned (DARK). FAIR: very pale, gothic, almost white, usually Nordic skin (Amanda Seyfried – Emma Stone - Jessica Chastain). LIGHT: pale European skin, blondes or light brunettes with skin that goes red in the sun (Taylor Swift - Cara Delavigne – Bianca Balti). MEDIUM: pale but vivacious skin that tans easily, Mediterranean (Blake Lively - Jennifer Lawrence – Mila Kunis - Selena Gomez). TAN: Intense, Mediterranean or tanned skin (Ariana Grande – Kendall Jenner – Eva Mendes). DARK: Very tanned or dark skin (Kim Kardashian – Rihanna – Beyoncè). 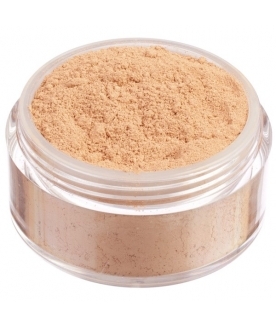 1- Mineral makeup enables you to mix powders together to create the perfect foundation for your complexion. 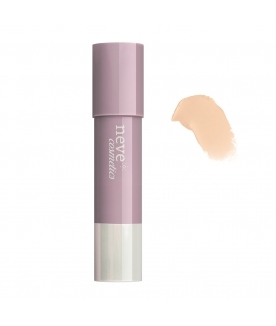 The possibilities for perfecting foundation are endless, and so are the combinations between the different shades. If your foundation seems too dark, add a drop of fair or light; if it's too pale, add a splash of medium or tan. 2- You may need to change the tone of your foundation at different times of year: there's often a considerable difference between your summer tan and winter pallor! 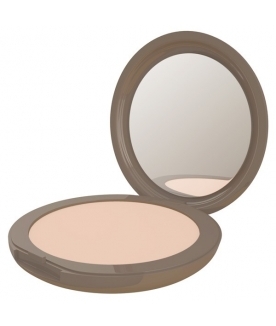 Example: skin that is Light Neutral in winter may need to change to Medium Neutral when it gets its summer tan. For the months in between, you can create intermediate shades by mixing two powders. 3- You should choose your foundation based on the real colour of your skin, not the colour you would like to have. The role of foundation is to make your skin colour even by blending perfectly with your complexion, not to "change" the colour of your skin. A foundation that's too pale or too dark would contrast obviously with the natural colour of your hands, ears, and neck, a look that's anything but attractive.